Save the Fatman by keeping him alive and running by controlling his food intake. New iOS App “SaveTheFatman”. Save the Fatman and earn Bitcoins! O o! Santa is off his sleigh and Rudolph is pulling away. Help Santa catch his sleigh. 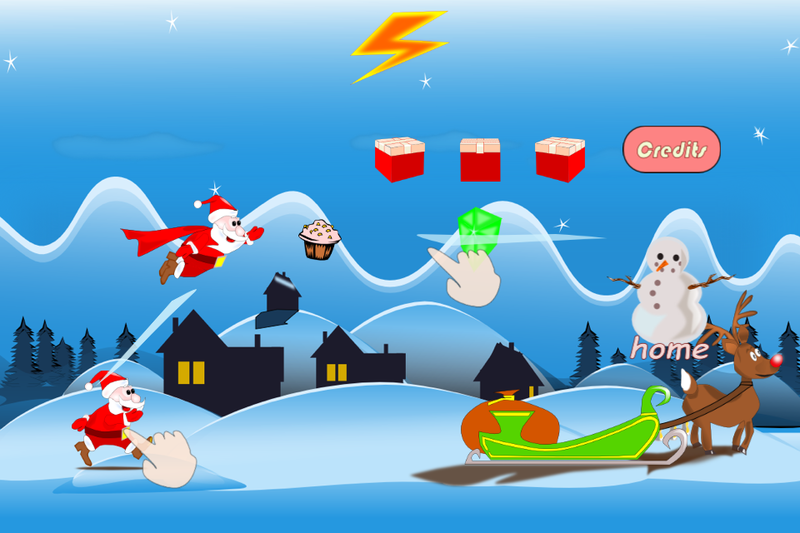 Touch the Santa to make him fly and grab food to move forward. Avoid the green krypton that can bump the Santa off and end the game. Also, if Santa goes off the screen game ends. Collect the gifts for Santa by swiping on them. Have fun! Previous Previous post: New iOS App “SaveTheFatman”. Save the Fatman and earn Bitcoins!